Family holidays are all about spending time together and giving children unforgettable memories that last a lifetime. You can enjoy much deserved time to relax whilst kids are well looked after in some of Europe’s best luxury family hotels. Are you looking for a luxury family holiday and in need of inspiration? We’ve put together our 5 favourite luxury family hotels in Europe. Put your feet up whilst the children are cared for at this luxury family hotel. 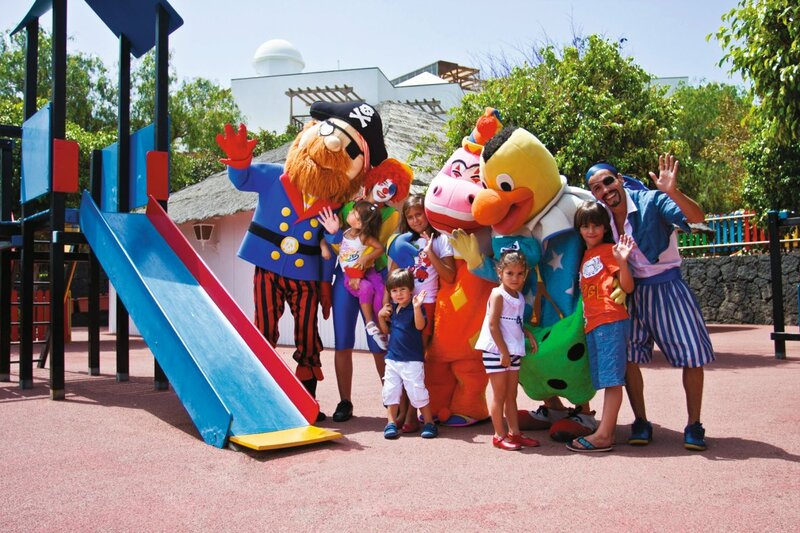 Princesa Yaiza has a superb kids club ‘Kikoland’ where children are separated in to age groups so they can enjoy the best activities to suit them. Rooms such as the Royal Kiko Suite are designed with modern families in mind, including a DVD player and PS4. In the evenings the hotels amphitheatre provides memorable entertainment from magic shows to live music. With all modern luxury amenities this hotel caters for all the family. Children can splash around in the dedicated kid’s pool before getting active in the many sports facilities including: Tennis court, football, volleyball court, basketball court and climbing wall. Cooky house (0-2) offers all necessary facilities for babies and a small play area. Kiko house (4-5) is equipped with swings, kid’s pool and provides arts and crafts. Hooky House (6-8) is packed with fun sports and activities. Gremlyn (9-12) Games, sports and beach activities including paddle-board and kayaking. Teeny club (13- 18) provides table games, video consoles and craft workshops. The volcanic island in the Canaries offers beautiful year round sunshine and a wealth of activities for a fun filled family holiday. There are pristine beaches and bustling towns, see our blog 7 things to do in Lanzarote for some unmissable family activities. With all facilities at your fingertips Porto Elounda Golf and Spa Resort gives families everything they need for a memorable holiday. At this luxury family hotel, families can enjoy water sports, beach activities and numerous sports facilities. Rooms are well equipped and spacious and some include private pools. For younger guests there is an indoor and outdoor playground with trampolines and a children’s pool with water slides. Children can enjoy private tuition in tennis, swimming, golf, water skiing, dancing and more. A Babysitting service is available and all baby facilities are available on request. Crèche 4 months to 4 years open 10am – 6pm 6 days a week. There is Sand pit fun, story-telling and fun filled arts and crafts. Youngsters ages 5 – 11 can enjoy ball games, table games and water sports. Evening activities including DVD nights and mini discos. Teenagers can enjoy Tennis lessons, waters skiing, sailing lessons and ball games. In the evenings there are table games and online games. Valencia CF soccer academy for ages 3 – 16 suiting any level of ability. A beautiful destination this Greek island has so much to offer. The local town of Elounda is a short distance away from the hotel where you can feast upon the many shops and gourmet restaurants. For the surrounding area see our blog for things to do in Crete. The Algarve is the perfect destination for a family holiday and Vila Vita Parc is the perfect luxury family hotel. The large resort offers world class villas and large spacious rooms within a beautiful refreshing atmosphere. The local beach is perfect for family recreation and the many water sports activities on offer. 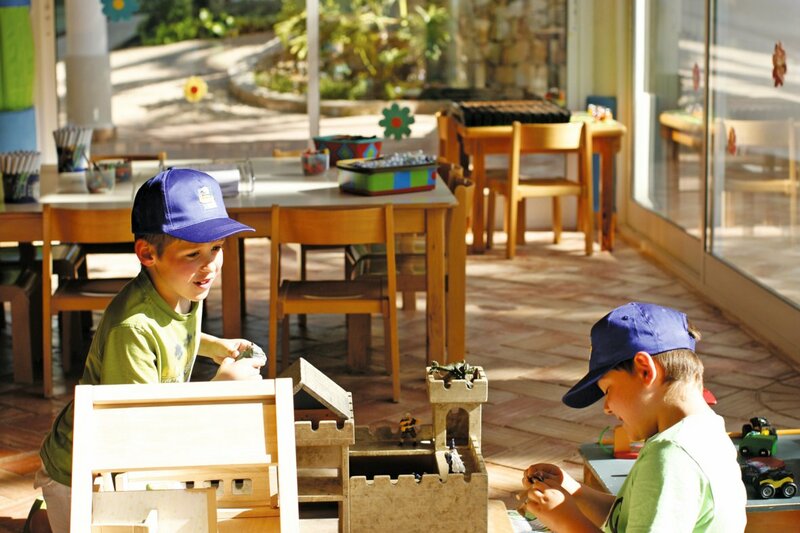 Creche- Children 6 months to 3 years can be left in the capable hands of qualified nursery staff. Teenagers- Surfing lessons, local excursions and leisurely beach activities are available to keep teens well entertained. 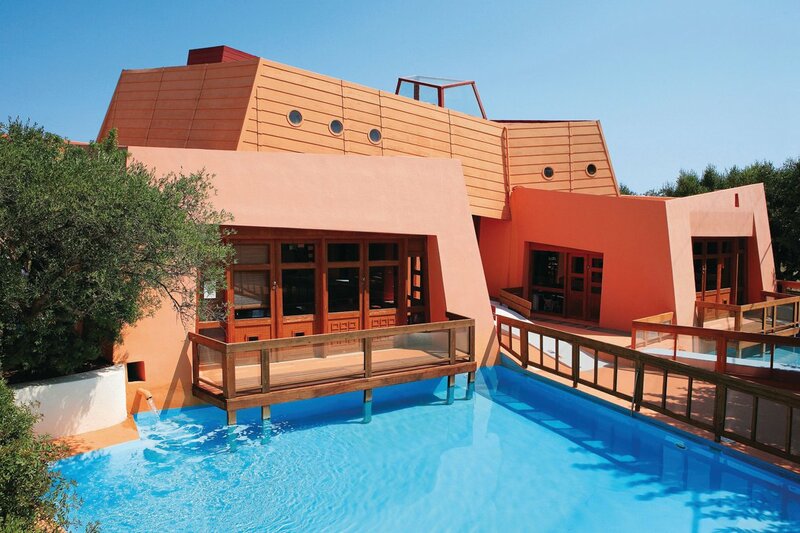 This luxury family hotel has just about everything to give your family an unforgettable holiday. 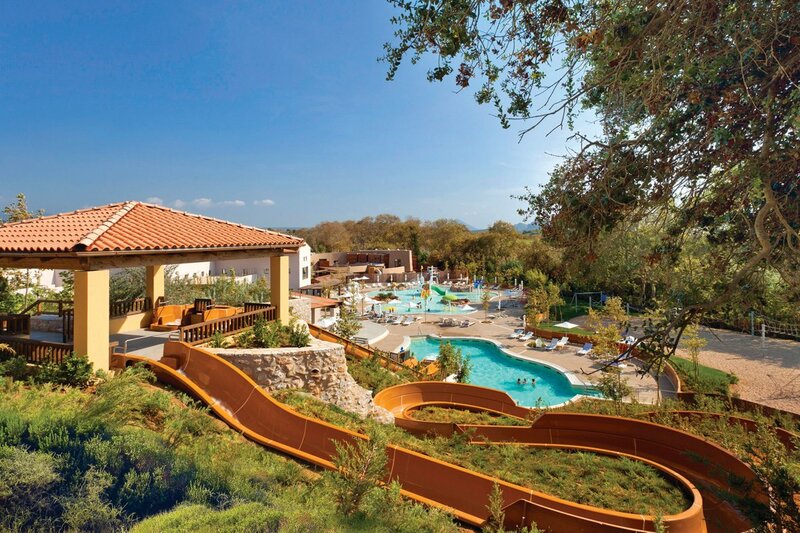 The Westin Resort offers a Bowling alley, climbing wall, basketball, volley ball, golf course and much more. You won’t be stuck for things to do; there is a racquet academy with 9 different types and all the water sports activities you can dream of. If that’s not enough the local area is packed with beautiful beaches and unique points of interest. This Eco-friendly resort has superb facilities. Bowl a strike in the ten pin bowling alley or leave the teens engrossed in the video arcade. Outdoors, families can enjoy a playground or the aqua park with water slides. For quieter evenings there is a cinema. A baby sitting service is available and spacious rooms for families of all sizes and with private pools. Cocoon (4 months – 3 years) A crèche with play area, crafts, role playing, interactive sports, football and more. Sandcastle (4 years – 12 years) Fun and games, arts and craft workshops and interactive games. There is a ‘Recreational park’ for all kids with slides, indoor basketball, volley ball, badminton, table tennis, bowling, pool tables, PS3 consoles, indoor climbing wall; perfect for teenagers. A culturally rich and naturally beautiful area of Greece, Costa Navarino comes packed with beautiful beaches and tempting landscapes. Located in the south west Peloponnese the area is wonderfully quiet. Despite that there are lots of things to see and do. A world famous luxury resort, this popular family hotel has just about everything to go above and beyond your holiday dreams. Sani is a large resort in Halkidiki made up of a few separate hotels. Sani Beach is excellent for families with beautiful and spacious family suites. Wondering what to do on your holiday? You will be spoilt for choice. Enjoy the tennis courts, archery and mountain biking or explore the walking trails. 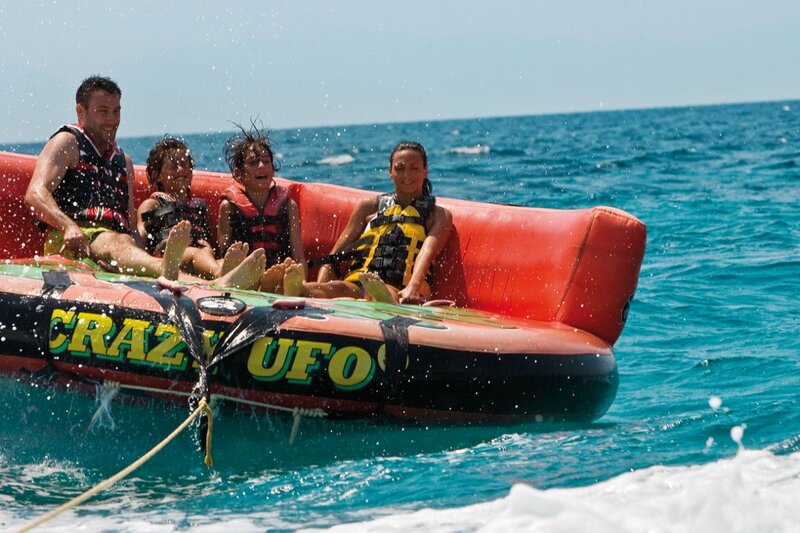 The watersports include catamaran, kayaking, Parasail, water ski and much more. For every facility there is an instructor to help you master it. Teenagers club – Teens come home experts at their favourite sport with qualified instructors. Teen house ‘Ozone’ gives teens space to chill out and socialise. Halkidiki is a haven for luxury hotels and elite travellers. Halkidiki has show-stopping beaches and beautiful blue skies perfect for sun, sea and relaxation. We’ve put together some of our favourite places to visit in Halkidiki. If you like the sound of these luxury family hotels call our experts on 0800 294 9311 or visit our website.